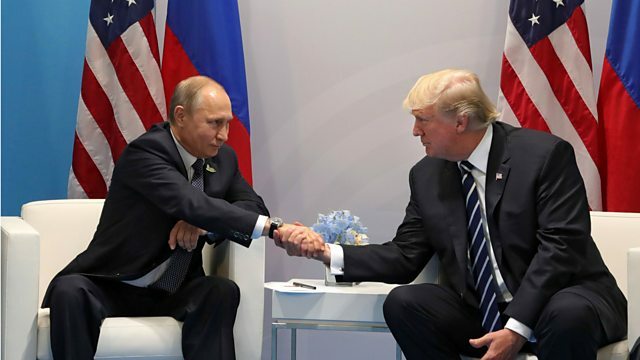 The US President Donald Trump and his Russian counterpart Vladimir Putin held their first ever meeting at the G20 summit in the German city of Hamburg.The talks lasted more than two hours and covered subjects such as Russia's alleged meddling in the US presidential election and the conflicts in Syria and Ukraine. Also in the programme: Hebron declared a UNESCO world heritage site; and the sexually transmitted illness gonorrhoea is becoming resistant to antibiotics. G20 Leaders Agree... Or Do They?